When Is The Last Time You Cleaned Your Grill? It’s summertime. Everyone is pulling out the grills from their sheds and preparing to host barbecues throughout the season. Whether its gas grills, charcoal grills, or electric grills, the barbecue grill is a staple and extension of the kitchen. Millions of people are scheduling get togethers with friends and family members, so it is important to maintain your grill so it’s good to go for the next barbie. While it is very important to ensure you’ve got the right grill and utensils, and more importantly, the right company. 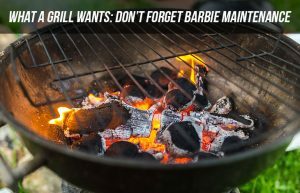 There is something even more important we often forget after barbie season goes by and the burgers are devoured, thorough grill maintenance. We know, it stinks. Everyone remembers to eat, but at the same time, everyone forgets to clean the grill too. Grills can have a short or long lifespan, that’s up to you. In order to have a properly functioning grill that won’t disappoint your guests when it’s time to fire up the meat and fish, you must follow a few rules of engagement for maintenance. This may seem intimidating, but trust us, a solid 30 minutes will have your grill like new with great tasting food. Gas leaks from propane tanks can be extremely dangerous. If you have a gas grill, check your gas hoses and lines for leaks by running soapy water along the gas line. If bubbles begin to form, then a gas leak is likely and you will need to either tighten the connections or replace the hose. Live to grill another day. When your grill is not in use, make sure you have a cover and place it on your grill. We hear of horror stories of users leaving the cover off, only to return to a rusty grill next summer. We all know the environmental elements in Sydney can vary drastically, so protect your summer kitchen and purchase a quality grill cover. Don’t make cleaning the grill harder than it needs to be by leaving it out in nature. We hope you have a good, high-quality grill brush. A grill brush is pretty much all you need to keep your grill properly maintained. We recommend cleaning your grill every few months, especially with frequent grilling. Face it, you can simply look at your grill and notice when enough gunk and old food collects and leaves debris. 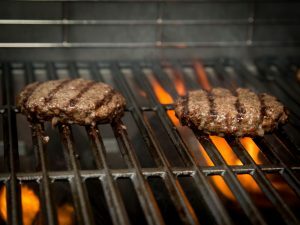 Don’t ignore this, grab a bucket of soapy water and give the grill grates a strong scrub before or after use. In addition to the grates, don’t forget the burners if your grill comes with those. Doing this will allow your grill to heat up more efficiently. ← Previous Previous post: Get Your New BBQ In Time For Australia Day!